What is Custom Cell in UITableView ? Custom Cell means you can create your own cell and customise it in your own way. You can add button, profile image etc as per your need. 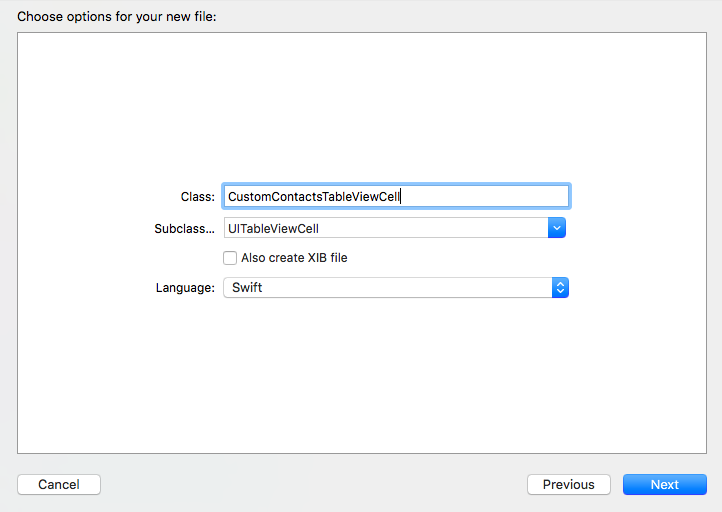 We had covered the basic UITableView cell in previous tutorial. you can just define the basic default cell for your tableView. But to customise it for user friendly UI you need to define custom cell. 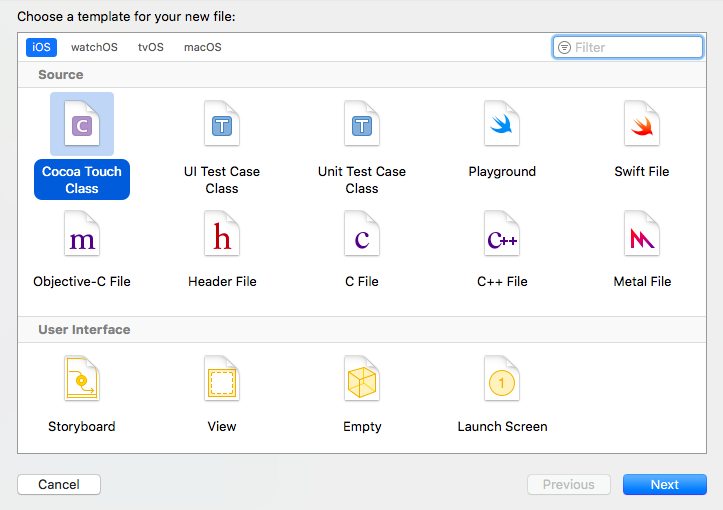 So Lets Start Creating UITableView with custom cell. Goto File > New > Project > Single View Application > Enter Project Name (eg :- FirstProjectViewController) and Select Language as Swift > Done. Open Xcode Goto File > New >File > Coca Touch Class > Next > Enter File Name (CustomContactsTableViewCell) and Select Language as Swift > Done. Now you can see a file on left navigation Menu of Xcode named, CustomContactsTableViewCellroller.swift Paste code inside CustomContactsTableViewCell.swift where we designed an UI. 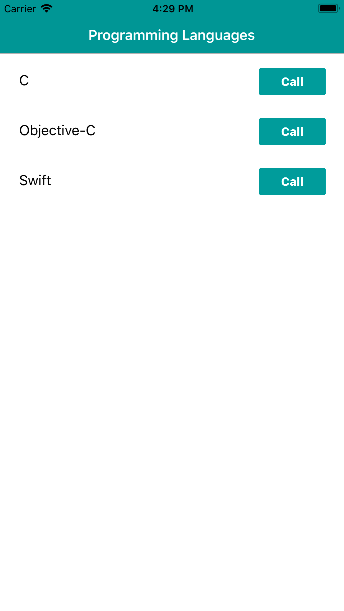 In this custom cell we created boxView which contains nameLabel and one callButton. In this way you create any custom cell as per your need.